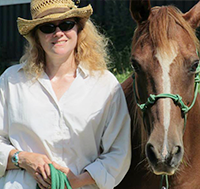 Dr. Seguin attended Cornell University as an undergraduate and then obtained her master’s degree and DVM at the University of Wisconsin–Madison in 1996 and 1998, respectively. She completed a rotating, small-animal medicine and surgery internship at North Carolina State University, followed by a 3-year residency in small-animal internal medicine at the University of Florida. She became board-certified by the American College of Veterinary Internal Medicine in 2002. She spent 2 years in private specialty practice, first in Mesa, Arizona, and then in Wisconsin. She has been with IDEXX Laboratories since 2004. Dr. Seguin lives in rural Wisconsin with her husband, two kids, two goldfish (Dakota and Marigold), two guinea pigs (Dandelion and Clover) and two horses (Flicka and Gypsy). She hopes to soon complete her family with the addition of a flock of chickens and a dog or two. Some of her favorite medical topics include tick-borne diseases, endocrinology and immune-mediated diseases.